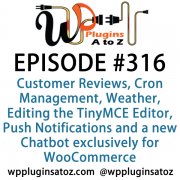 It's Episode 366 and we've got plugins for Canadian Postage, Scanning Malicious Code, Removing Yoast Comments, Business Directories and Editing Images Within WordPress. It's all coming up on WordPress Plugins A-Z! 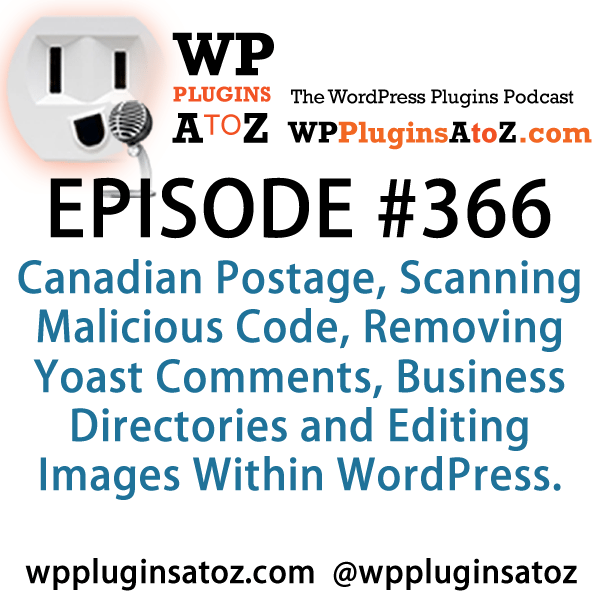 An excellent plugin to set up shipping with Canada Poste, this plugin makes the job pretty easy to do and if you need more upgrade to the pro version and get access to printable labels and packing slips. This plugin was created By Magda Sicknick who did it “because my own WordPress site got hacked, and I needed a quick way to track down which files have had code injected into them.” This plugin will scan for the key words found to be common in WordPress code injection situations and reports vital results. Finding quality WordPress Hosting and support can be a challenge, well you can drop that stress by contacting JohnOverall.com web services. I can help you eliminate your WordPress stress. 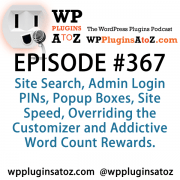 Solving your WordPress Emergency issues or doing the more day to day items such as finding that perfect plugin, helping you move to a new hosting provider or even providing Quality WordPress hosting. We have a contest starting this week giving away a premium license from https://wpnearbyplaces.com/ where we are giving away a Premium License version of the WP Nearby Places plugin, that helps you create very useful Google maps for your site visitors, visit http://WPPluginsAtoZ.com/contests for more info or enter here https://wppluginsatoz.com/giveaway/wp-nearby-places-premium-version/. 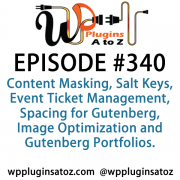 Check out the interview with Albert Harlow from WP Nearby Places where we discuss the plugin a bit more in-depth, listen here. 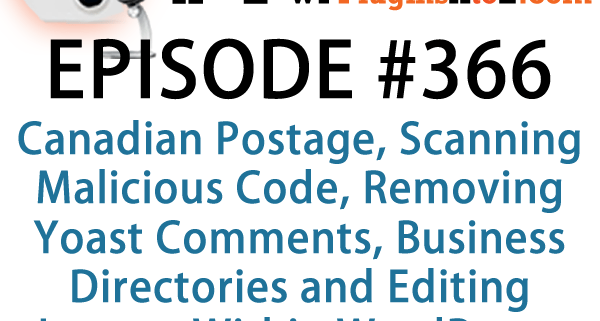 This is a must-have plugin if you have Yoast SEO installed. A free business directory plugin with premium features included. Requires the Advanced Custom Fields plugin to be truly useful. * List any kind of businesses. * Mapbox powered Mapping with Geo Location address finder. * Customise the colors and branding. * Auto map with paging. WP Nearby Places lets you easily create Google maps for your website with your specified location at its center. Your site visitors will have the ability to quickly search what's around your specified location like no other mapping plugin, using the power of Google maps. WP Nearby Places also uniquely breaks down neighborhood locations by categories, such as “Restaurants”, “Parks”, “Police” and, depending which version you purchase, provides the locations’ name, address, URL, website address, phone number and distance (in miles or kilometers) from the central location. There are 3 versions available: Basic (which is free and available through WordPress.org), PRO and Premium (which is offered here). For details about ALL our licensed versions that are available, including our exciting Add-ons, go to https://members.wpnearbyplaces.com/shop. 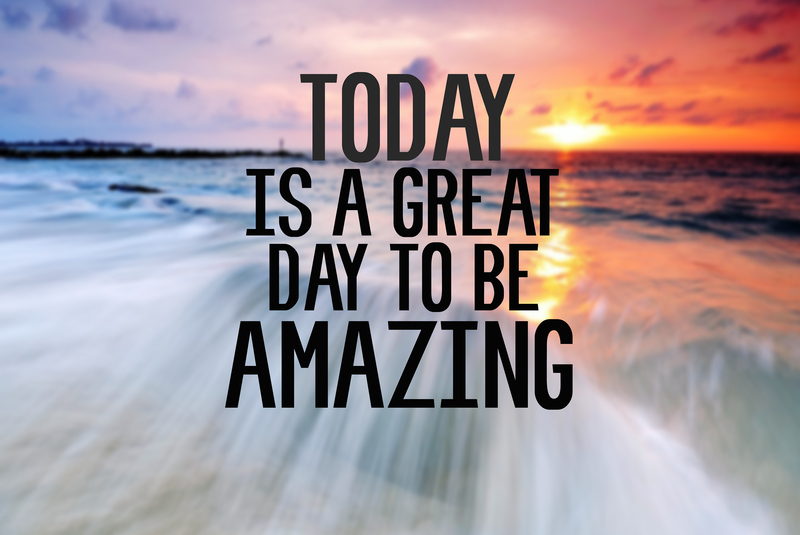 Jezweb Pty Ltd sent you $50.00 USD. Woocommerce extension where you can set some products to accept terms and conditions before adding product to cart. When you click add to cart disclaimer pop up appears asking customer to agree the terms and conditions before product gets added to cart. If customer click accept product is added to cart and if customer decline product does not get added to cart. WPImager is an image editor that lets you create all kinds of images with effects like adding circular text, gradient background, gradient text and a screenshot of the editor for offline reviewing. 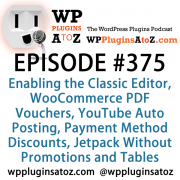 The plugin also comes with the following features.